MARQUETTE — Downtown Marquette was the place to be Friday night, as the 7th annual Winter Snow Fun Holiday Parade took place. Organized by the Marquette Downtown Development Authority, the parade featured Tinsel- strewn trucks, colorful carolers and even a brigade of fat bike riders to help usher in the magic of the holidays. There was a special guest during the parade -Santa Claus was happily collecting children’s letters addressed to him along the parade route. 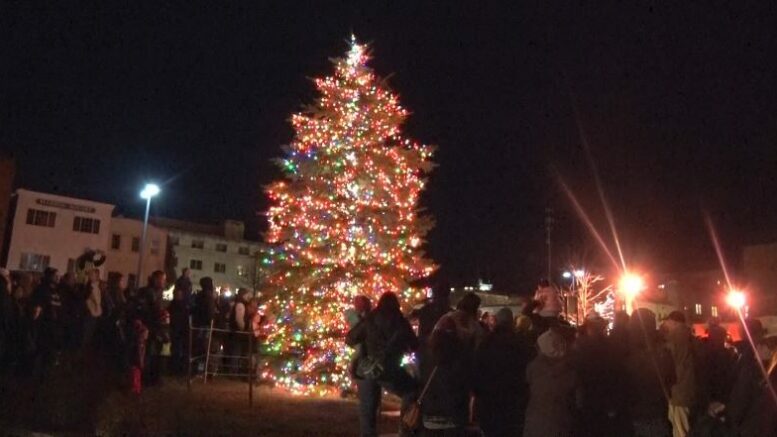 Afterward, the city’s 42nd Annual Tree Lighting took place at the Marquette Commons. “After the tree lighting, the kids will be able to go inside of the Marquette Commons, warm up a little bit, and they will be able to meet with Santa, talk with him, let him know what they’d like for Christmas, and get a little surprise as well,” said MDDA Promotions and Events Coordinator, Tara Laase-McKinney. Despite the chilly weather, hundreds of people turned out for a night of celebration.